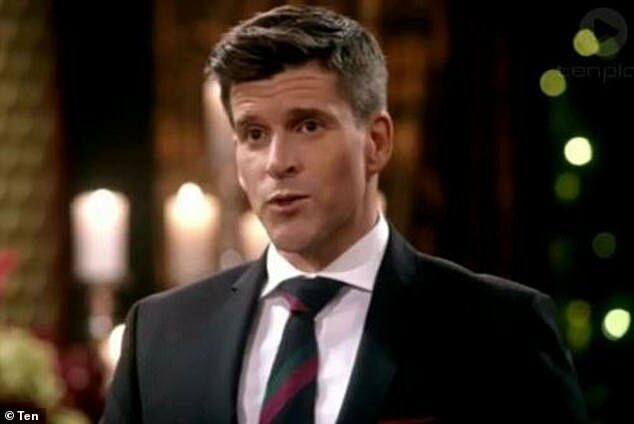 Osher Günsberg has hit back at fans who blasted Bachelor In Paradise for airing Richie Strahan and Alex Nation’s ‘heartbreaking’ conversation. 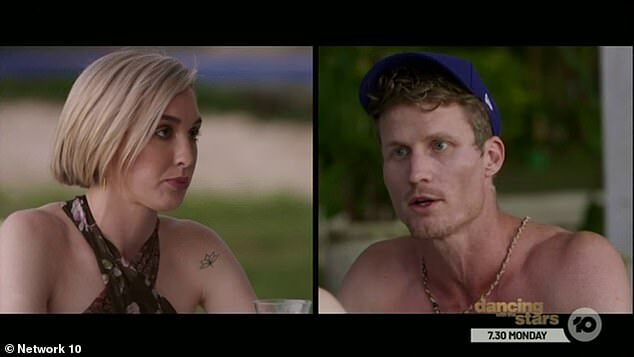 Alex, 27, accused her Perth-based ex Richie, 33, of not flying out to Melbourne to support her during a ‘massive’ moment in their lives, in a tense confrontation in Wednesday’s episode. And host Osher has now insisted the exes were ‘comfortable’ with the spat being shown on television – after outraged viewers claimed the moment was too ‘intensely private’ and ’emotional’ to be broadcast. ‘Out of respect to the audience, and out of respect to Rich and Alex. We’re showing this with no cuts,’ Osher tweeted on Wednesday evening. After a viewer questioned the duty of care that the show provides, Osher insisted they take ‘enormous care’ over the cast. ‘Okay man, I’m just letting you know that despite your reluctance to believe it – we do try to take enormous care for everyone who is involved, and we are very aware of the responsibility we hold. We are professionals,’ he wrote. Osher also tweeted about Alex and Richie’s exchange, ‘This is so tough to watch. But we’ve all been there,’ which prompted further backlash from viewers. It comes after fans slammed Channel 10 for airing Richie and Alex’s ‘intensely private’ conversation in the first place. ‘The discussion between Richie and Alex is both heartbreaking and infuriating- he clearly left Alex in a time where you need support… no matter what you think is the right decision it’s still confronting and emotional,’ one user wrote. ‘Not easily offended. But we didn’t settle in for mind-numbing tv only to feel like we were intruding on an intensely private conversation that should’ve been left alone. Yes, they’re aware of where they are, but to air that was crass. I’m out,’ another viewer added. However, other viewers argued that the exes knew they were going on a reality show and that they might have to discuss their split in front of cameras. ‘They signed onto the show knowing they could possibly run into each other and very well have that discussion, so I feel it’s fair that they showed the conversion,’ one fan wrote. Another user added: ‘That was the rawest television I’ve seen in a long time but it’s a conversation that needs to be had in Australia. ‘It is a common grievance of reality television stars that footage is heavily edited, contrived or manipulated. Given that this was the first time Alex and Richie had seen each other since their break-up, producers felt it was essential to film and broadcast their reunion in its entirety. Both Alex and Richie were comfortable with this. 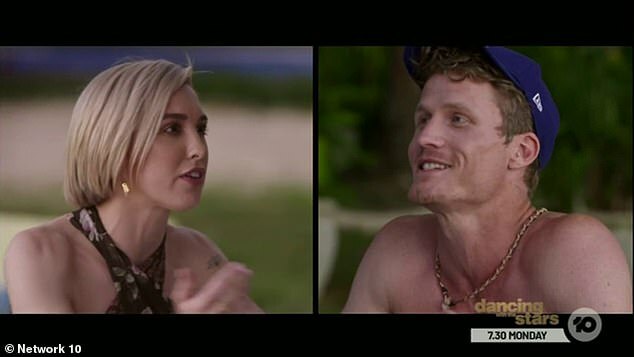 In an ‘unedited and uncensored’ conversation on Wednesday’s episode of Bachelor in Paradise, Alex and Richie spoke about their bitter split from two years ago. ‘I was left alone, to go through something massive that no woman should go through!’ Alex responded. Alex strongly denied she took this unspecified ‘pathway’ because she wanted to focus on playing women’s football. She went on to claim that Richie missed an important moment in their relationship, after she gave him 48 hours’ notice to fly to Melbourne to be with her. Richie, who is based in Perth, then said that Alex had ‘changed the date’ numerous times and he was unable to travel at short notice due to work commitments.